There’s no hiding the fact that mobile has revolutionised the business world. With the advances in mobile technology, it’s provided opportunities for organisations to connect more people into enterprise-wide applications. Faster wireless networks, broader coverage, increasingly powerful devices, different input technologies, and state-of-the-art development tools have all contributed to the mobile revolution currently in progress. Combined with the rise in the number of remote workers and field workers, who potentially don’t have access to a desktop or laptop, mobile enables constant connectivity with an organisation. Not only has the number of mobile-only internet users overtaken desktop-only, but app usage has also surpassed desktop usage. As a result of this shift, companies are re-thinking their mobile strategies. The major question that they have been grappling with however, is whether a mobile app or a mobile website is the right way to go? Many argue that you don’t need a mobile app, you just need a website that looks good on mobile devices. Others say that mobile apps have benefits that a website cannot provide. However, when digging a little deeper, there are a myriad of factors that need to be considered before deciding. When it comes to different mobile mediums, it can be difficult to determine where to focus your efforts. Each offers its own benefits, and one isn’t necessarily better than the other, depending on your business needs. Mobile App vs Mobile Web – So, what’s the difference? Both apps and mobile websites are accessed via a mobile device such as a phone or tablet. A mobile website is exactly as it sounds. It’s a website that consists of browser-based HTML pages that are linked together. Responsive websites are designed for different platforms and adjust to different screen sizes and layouts and are becoming increasingly standard. Like traditional websites, mobile websites can display text content, data, images, and video. They can also access mobile-specific features such as click-to-call or location-based mapping. Mobile apps, on the other hand, are applications that are downloaded and installed on a user’s mobile device. An app can pull content and data from the internet, like a website, or it can download the content so that it can be accessed without an internet connection. In doubt about which one to choose? Read on to understand how a mobile responsive website and a mobile app can benefit your business in terms of audience reach, activity type, functionality as well as maintenance complexity. Do you want to reach a broader audience? Typically, mobile websites are seen as being more suited as an acquisition channel and may be the first time people are experiencing the company. If someone comes across an unfamiliar brand or are researching potential suppliers, they would normally use a search engine like Google. While both apps and mobile websites can appear in search results, individuals generally explore a company via their website first. The rationale for this is that the user doesn’t have to download or install anything for a company they know nothing or very little about. Another advantage of a mobile website is that it can be accessed via any device regardless of the OS it’s based on. Therefore, mobile websites are a good choice for establishing initial awareness and engagement. However, once a user has a strong relationship with a brand, apps come to the fore as they can create more of a personalised experience, customer-user interactions and retention. For example, many food and drink outlets apps (Starbucks, Greggs, KFC etc) enable users to receive loyalty stars for purchases that can be redeemed for free food and drinks later. Users also spend a substantial amount of their time on their mobile devices and so encounter the apps they’ve installed on their devices, almost every day. Even when users are not actively using a mobile app, they are still reminded of the brand associated with the app. The icon of the app acts like a mini-advertisement for the brand. What activity will your users be engaging in? A user’s decision on which way to access the internet largely depends on the type of activity they want to engage in. For instance, although responsive design is much better than having to ‘pinch-and-zoom’, it isn’t an optimised experience for mobile visitors. At its core, responsive design makes the desktop experience look good on mobile, but it doesn’t address the specific needs of mobile visitors. Mobile websites are preferred for reading content through articles or blogs and searching for information, however when you are needing to have a more intricate engagement then apps start to take over. Mobile apps run with their own interface environment which enables users to become more immersed in the mobile experience. They’re built with a purpose, for example, more convenient banking, or to be able to provide availability and booking of work shifts. They address user pain points and make it easier for users to achieve a goal. Therefore, in order to determine the best approach, careful consideration needs to be made around ‘why’ the users will be accessing and ‘what’ they’ll be doing when they get there. Do you need mobile native features? Mobile devices earned their popularity not just because they fit in the pocket, but also because they’re filled with features such as Bluetooth, camera, GPS, contact list, speech recognition and much more. Since native mobile apps are designed specifically for each target platform, they can immediately access all device-specific features. It’s also feasible to leverage required mobile functionality in hybrid apps with the help of PhoneGap or Cordova. Cross-platform React Native apps can also access native functionality using native modules. Mobile internet browsers are helping to bridge the gap between an app and a website. However, user experience may depend on the OS and browser one chooses. Not all functionality is currently available e.g. 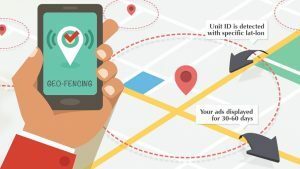 while both iOS Safari and Android Chrome can support geolocation, they still lack geofencing functionality. A responsive website can also strip you of access to contacts, SMS sharing, task scheduling and wake lock. How often will you be updating? In general, a website requires less effort and cost for its maintenance compared to mobile apps. For example, you only have to edit your website once and the changes will be immediately active across all kinds of devices. However, editing a native mobile app is a more complicated procedure. After an upgraded version for each OS type is prepared, it should be approved by the marketplaces. On average, it takes from 24 hours for 50% of apps and 48 hours for over 90% of apps to be reviewed on App Store. While Google Play suggests waiting for at least 24 hours for an update to appear before contacting its support team if it still hasn’t gone live. The end-user also has the option to set automatic updates on or upgrade an app manually after each update to get the changes, so even though you have updated your app the end-user may still be on an old version. Since hybrid apps leverage HTML5, you get the ability to update an app without asking a user to upgrade it on their device. It allows for easier app management by enabling developers to implement updates and fix bugs as needed. In addition, there is no waiting time to get the update approved. Cross-platform apps built with React Native can also benefit from the Over-the-Air update feature. However, for some significant upgrades like adding new features, it is recommended to send out an app to an app store for review. Do you want your users to be able to work offline? Responsive websites require a constant Internet connection. Of course, you can save a certain webpage for offline reading both on iOS and Android, but for anything else you need to stay online. However, apps have greater flexibility to work both online and offline. While it may not be such an issue for the “first world” countries with increased internet accessibility, it makes a difference for developing states. If your users will be using their own phones and data tariffs, they’d probably prefer to have access to an app’s data anytime and anywhere at no cost to them, and so it would be better go with an app. Let’s take the example of a banking app again, the app can provide features like tax calculation, instalment calculation, and determination of loan limit and allowing these features to work even without the help of an internet connection, it can increase a company’s productivity greatly. Depending on complexity, a responsive mobile site can be more cost-effective than mobile app development. This holds true if you want your app to have a presence on more than one platform. The main reason is that instead of one responsive website you have to develop at least two apps from scratch (one for Android and one for iOS). This, in turn, entails twice as much work and resources, in addition to bug fixing and adding new features. It also makes maintenance cost higher. Yet, as we have already covered responsive websites can’t provide a full-scale mobile experience and you still have to pay for domain and hosting. However, if you still want an app, but do not have the time and budget for native apps development, you may consider going hybrid or cross-platform. Both approaches require building only one app for all platforms, which means shorter development time (including later updates and new features integration) and efficient maintenance. For example, Ionic 2 code is nearly 100% reusable. Such apps will run seamlessly regardless of the OS. Though some UI components still need to be adjusted to the target platform requirements. When it comes to deciding whether to build a mobile app or a mobile website, the right choice simply depends on your business objectives and ultimately, budget. If your goal is to offer mobile-friendly content to a wide range of people, then a mobile website is probably the way to go. However, if you want to better engage, interact with, and communicate with your customers to drive customer loyalty, a mobile app is an excellent choice. In many cases, you may decide you need both a mobile website and a mobile app. If done correctly, both can be a strategic and a valuable choice. So, when it comes to your brand’s mobile strategy, it’s not a question of a mobile website or a mobile app, but perhaps a two-pronged approach could be the answer. To discover how Arrk can help you with your mobile application development, find out more here.